The digital wave that started just over a decade ago whereby the Internet became a viable business tool may very well have peaked with the advent and metamorphosis of social media that rides along cresting with popularity at the top. Businesses both big and small have learned interaction with their niche markets is both an unavoidable and welcomed aspect of a digitized economy, and social media in all its shape shifting forms is for many one of the new pillars for success. Still, one of the stumbling blocks might be quantifying the ROI for the marketing campaigns that involve what’s often a mosaic of social media techniques. Hence there’s a need for a social media report to help mark the trail that any given company is taking. When you’re creating one of these, you need to be clear on both the purpose and results. That’s why we’ve put together a little social media report primer we hope can make your marketing journey with our social media agency both clear and exciting. Let’s start with a few common reasons why one of these reports is commissioned in the first place. Of course businesses that hire our Chicago social media agency will want to know how visible their brand is online and they’ll want to know who is talking about them in cyberspace and the kinds of things that are being said. They need to know where the social media users are that are engaging their brand and if there are influential content creators online talking about their product or service. 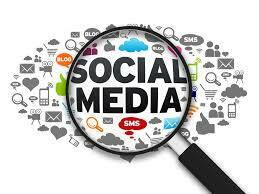 As your social media company of choice, we’ll corral all that information and more into an easily understood package. So what’s next, you might ask? Well, next we’d like to help you understand what it all means and help you to decide where your social media campaign should be going. Remember, the analytics we use as an industry leading social media agency are first rate and they’ll help to gauge how successful your most recent marketing campaign was. Together, we’ll look at what works and what needs to be tweaked. We’re here to generate traffic, leads and sales for your business and, to that end, our top level findings in a complete social media report also include the necessary metrics on your competition and what’s being said about them. The kind of social media report we produce also outlines the key influencers for the purchasing decisions in your market. It’s a complete package and we can’t wait to get started working with you. Why not contact us today? On Page vs Off Page SEO: What’s the Difference? Why Does SEO Take so Long to Show Results?